Limerick District League earned a 2-0 victory over Clare at Jackman Park on Monday night in the first round of the Oscar Traynor Trophy. Goals from Adrian Power and Thomas Clarke in each half secured the win for Shane O’Hanlon and Aidan Ryan’s side. Janesboro Football Club are representing the league in this year’s competition. Due to an unsatisfactory number of applications for the managerial position, Janesboro were asked to represent the city as they are back to back league champions. 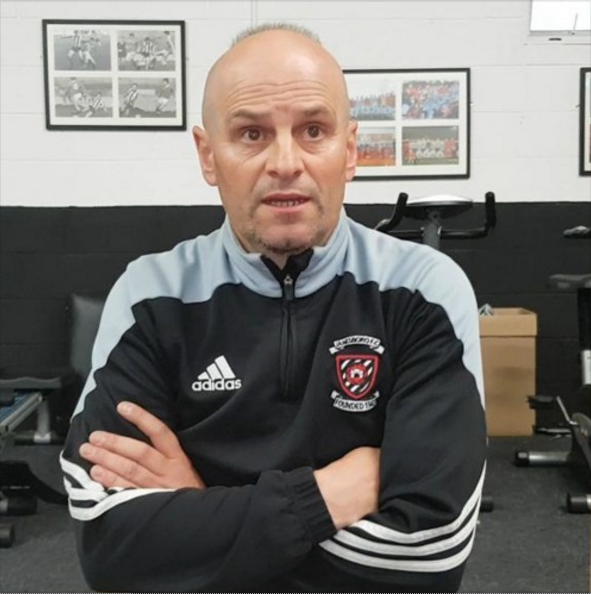 At short notice, the southside club decided to take on the challenge which prevented the possibility of no Limerick side in the competition this season. Ryan feels that Janesboro should be commended for taking the opportunity to represent the league on the national front.” I have to give kudos to our club. Our club were approached and asked would we take this on as they were having trouble getting a management team together. I think the club deserve plaudits for that. The players were very enthusiastic for it. We have decided to do it now and we will give it everything we have. Next up for Limerick is a trip away to Galway in December. The post LISTEN: Aidan Ryan ‘happy’ with Oscar Traynor victory appeared first on Sporting Limerick.